Who exactly is Jorge Mario Bergoglio? Bring it on, indeed! Will this be called the Not So Ordinary Form? Or will they call it the Ecu-friendly Form? This is actually the best news I have heard in a long time coming out of Rome. Ad Multos Annos, Mr. Bergolio. Keep up the good work. Perhaps some Catholics will have their eyes opened as they see what is happening before their eyes to the mass. But, sadly, from my experience most with blithely go their way and go along with whatever the apostates in Rome throw their way. They have no real love for the faith and with eyes open, will swallow the garbage that the local bishop feeds them. I’ve talked to many Novus Ordo Catholics about tradition and more often than not get a blank stare in return or silence. Not once has anyone asked my an intelligent question as to why I’m a traditionalist. So sad. May the Immaculate Heart triumph soon. It’s very hard, if not outright impossible, to convince Novus. 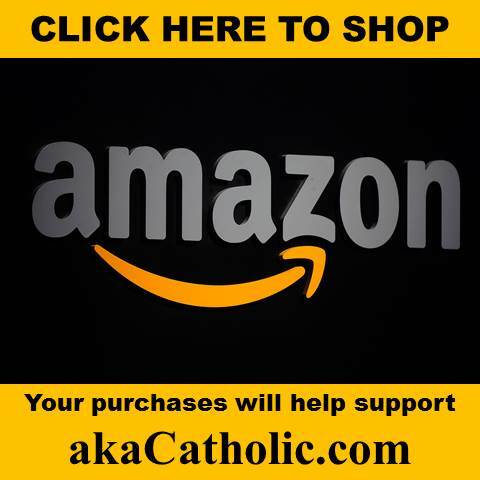 Ordo Catholics of Tradition and the traditional faith of all time. In my opinion the odds are against conversion to tradition unless through grace one yearns for it, even if unknowingly. Nobody convinced me on a one on one basis but rather through my own research and curiosity I arrived. Luckily for me around that same time an indult TLM became available five minutes away. Now further research is revealing the problems of attending an indult mass. Oh, the fight never ends…. Yes, conversion is always a miracle of God’s grace but a big miracle in these times. God knows the yearnings of our hearts. However, this just may open many eyes. I have old relatives who are seeing things now. I admire the honesty of the N.O. V2 pseudo-church to fabricate a “liturgy” in conformity with its beliefs which are contrary to the True Catholic Church. The N.O. 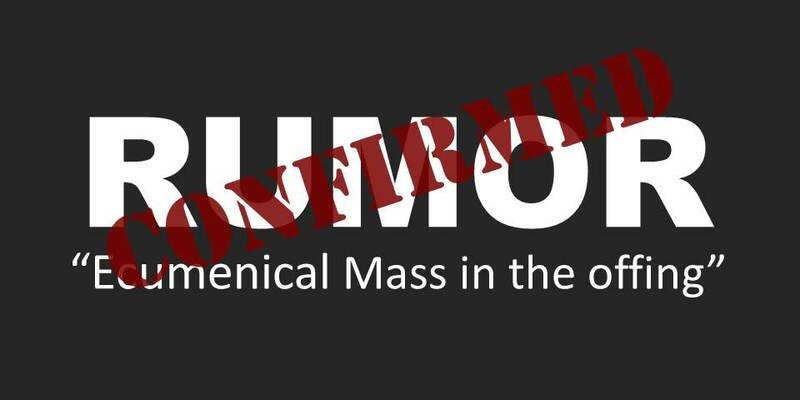 “mass”, as bad as it is, pretended to be “catholic”. Now there is no more pretense. I agree–Keep up the good work, Bergoglio!! Congratulations, Martin Luther, wherever you are—I think I know where that is. This could be called the NOUN Liturgy. For the inspiration of global sustainability . New Order United Nations mass. Creator, Who values souls so much He sent His Only Beloved Son to save souls, in the dust. May God forgive that evil man. Which causes one to wonder , is Mother Nature his God of surprises? Heaven knows the weather surprises meteorologist everyday. Im amazed they manage to keep their jobs. If true, this is a brilliant move by Bergolio to further keep his opposition divided. All neo and trad guns will come out to oppose the new ecu-mass and thus render support and defense for the NO. Once the usual suspects fall for the bait, Bergolio will remind them how the new ecu-mass is only a product of what was intended by the NO and V2 thus forcing his opponents to either criticize the NO when criticizing the ecu-mass or to shut up. Either way he wins and neos and trads who supports NO validity will look like bigger fools than they already are. More stupid fake news from a site desperate for clicks now that its “sphere of influence” has shrunk to the size of Pope Michael’s credibility. Cardinal Ottaviani, if he were alive, would spit on you and your attempt to fan the flames of your ever-decreasing circle of followers. The brain-dead nature of said followers is perfectly illustrated by the sedevacantist heretic “Tom A” who actually swallowed this humorless, despairing, devilish “parody” hook, line and sinker. Dear Professor Q–Even if this were fake news, the N.O. “mass”, such as it is now, is already a protestant dream come true. This “ecu-mass” merely puts the icing on the cake. There is no need to get so upset about this supposed “stupid fake news”. Things are so bad now, it really doesn’t matter. The damage has been done. Whenever I get so upset, as you seem to be, I pray the Rosary. today , 2 Cents ! During the persecution of the priests and Faithful in Ireland , the Rosary was known as the “Dry Mass”. After decades of dining at the smorgasbord , we decided to go dry for our own peace of soul and mind. This is well worth the read or re read for all of us. About thirty years ago while visiting my cousins in another state . we went to their local parish Church on Sunday. Prior to Mass I was saying my rosary to myself. The priest processed in , we all stood and then he stopped and looked down my pew. His expression changed and I was the recipient of a very sour face. His ad hoc homily consisted of a terse admonishment towards “anyone” who would think to be so rude so as to recite the rosary to themselves at Mass ! In the car afterwards my very smug cousins asked me what I thought about their wonderful priest. I explained that I remembered our parish priests encouraging us to pray the rosary before ,during and after Mass while growing up because as they they explained, it was a Liturgical Prayer. Professor Q is just deliciously butthurt that Louie so masterfully tricked him and many others into re-examining their ‘conservatism’ with regards to the Novus Ordo and Vatican-II-voodooism. That Trollprofessor Q has been working hard and overtime and over-concerned for a blog with a small “sphere of influence” and “ever-decreasing circle of followers”, is proof in the pudding that he’s on his last desperate legs. I especially like how he knows what Cardinal Ottaviani would’ve done. 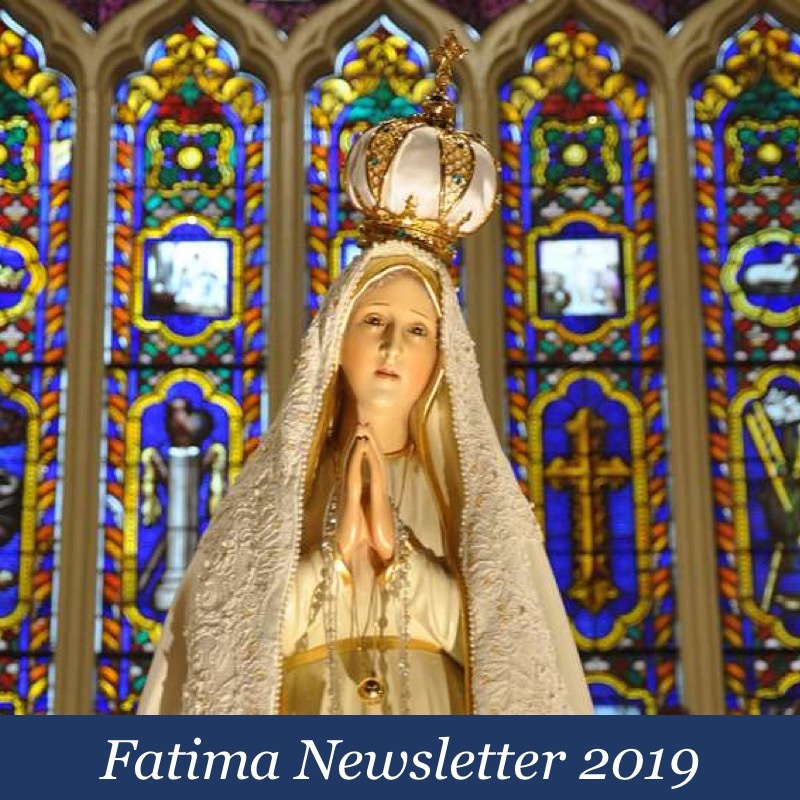 What is Quitey-pie going to do when Francis forces his little Novus Ordo sphere, with actual documentable decreases in followers, to have Lutheran women priests raising their arms beside his nervous Novus Ordo priest as they silently stare at a piece of white bread upon the table? All facing the people of course! Proctologist Q wouldn’t have it any other way! Fake news? So the blasphemous Lutheran-Calvinist Novus Ordo was not in fact imposed on the Catholic Church in Dec 1969? The unbelievable heresy of Luther’s Mass: “for you and for ALL” was not inserted into vernacular Words of Consecration, beginning in 1967, thereby most certainly invalidating the Mass, if not at the very least turning it into a bizarre ape of the Lutheran celebration? “Peace to HIS PEOPLE ON EARTH” again a Lutheran heresy on the denial of free will wasn’t inserted into the Gloria? What about the narrative format of the institution—in and of itself entirely protestant by turning the liturgy into a “memorial” re-enactment of the Last Supper? This remains after the 2011 changes. What about the wholesale removal of the Catholic offertory prayer and replacement with a Talmudic meal blessing? Prof Q speaks with the same vindictive, sanctimonious, venom as his man-god Bergolio. Evidence of how the evil spirit of that man taints his followers. 2 cents; sweepout, and Semper Fidelis – God bless you all abundantly for your loyalty, love and defence of our Faith. I can almost see “professor” Q’s mouth opening and closing with Lucifer right beside him spewing hate. I refuse to give that poor misguided man credibility in any way, shape or form by responding to his bile! But I will pray for him to recover his soul from he whom he THINKS is his friend! Ooops! Sorry I tried to cancel but it won’t allow! 2 cents; sweepout, and Semper Fidelis – God bless you all abundantly for your loyalty, love and defense of our Faith. I can almost see “professor” Q’s mouth opening and closing with Lucifer right beside him spewing hate. Are you friends with Jeffrey Sachs? I hear he also got very-very upset lately! Professor Q, you’ve again proven that you’re a master of the ad hominem. Do you have anything of substance to contribute? Kindly read the posts by your allies above and then tell me who is indulging in “argumentum ad hominem”. But you’re the real master of ad hominem attacks. Kindly apply that intelligence to substantive critiques instead, if you can. This news is reported on other sites, and its probably a predictable ecumenical outrage overeach. What will they call it – Very ordinary Lite rite.? The protesants must be beside themselves, they get to “ordain” their woman pastors in Catholic churches now in Europe. Then interchange from the bench, like the rugby players do after half time breaks. Imagine that, Runcie could hold the fort while Jorge goes on vacation or secondment to the Global arena? At least one Cardinal, his identity we await can be aplauded for speaking as is his right. Ordinary Lite Rite – has a simple ring to it, dont you thnk. I am afraid the salt has lost its taste and is now well trampled under modernist jack boots. The faux trads cite “No Salvation Outside the Church” when Holy Communion itself it distributed like party favors to protestants. At my own wedding, the Novus Ordo priest knowingly gave communion to a Lutheran woman who had asked him beforehand (as later reported to me by a friend). He was merely enforcing ‘John Paul the Second Coming’s’ sacrilegious 1983 Code that allowed this on “special occasions”. What an unbelievable religion. They can “cite” whatever they like – there is NO salvation outside the One, True, Holy, Apostolic Catholic Church founded by Jesus Christ. And I mean the true Church – not the Vatican II cheap and shoddy imitation. John XXIII introduced Vatican II for no other reason than the Freemasons wanted it in order to destroy the Church from within. Paul VI built on that as a willing and active Freemason himself. Benedict XVI is a real Jekyll & Hyde who is a brilliant theologian but pandered to the modernists [ but now seems to be trying to make up for his mistakes. Francis ………….. I have no words to express my disgust and horror of this man’s actions without being banned from AKA for life! Has anyone read Father Luigi Villa’s life story on Chiesa viva – a magazine he founded? Fr Villa was chosen personally by St Padre Pio as his successor in fighting Freemasonry. Fr Villa survived 7 with possibly an 8th attempts on his life. Yes. I have read Fr. Villa’s website. Have you read what is said on the site about Francis? I have. And having watched and listened for 3 years; having heard comments from Argentinians ; and likewise from Venezuelans, I believe what Father Villa says. Considering that Father Villa was hand-picked by the dying St Padre Pio to take his place as the main protagonist of Freemasonry – I trust him implicitly. The rumors of evil in the Vatican started decades ago and were described in detail in David Yallop’s book “In God’s Name” and also in books by Fr, Malachi Martin. The description of the enthronement of Lucifer in St Paul’s Chapel in the Vatican is horrifying. God help us all. Yes to what you say here — except that I do not trust anything that Malachi Martin has said. He seems to have been a “double agent.” Review these posts and see if you agree. I knew where we were headed after seeing what goes on in Vatican City itself. Louie, great parody, great history and great theology. Best click of the week; please keep them coming. ^Seconded. I’m glad I wasn’t the only one who realized this. From reading the comments most seemed to me like they didnt even bother reading the article or maybe just read the headline or whatever but one thing I know for sure they definitely didn’t get the same point from the article that I got out of it. Regardless , I must admit I was totally fooled and actually disgusted thinking to myself, oh no! another one of the million stupid articles once again disingenuously blaming Pope Francis for totally destroying everything thats wrong with the Church today including the Mass. 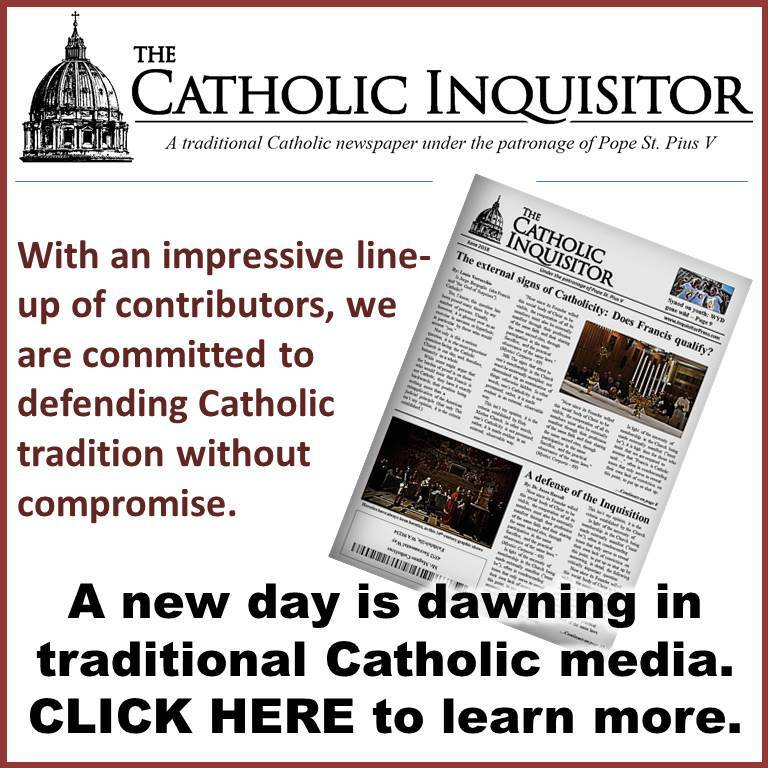 But as the article unexpectantly and excellently points out at the end, the Mass has already been totally destroyed over 50 years ago under the watch of the last 5 popes and I would also add just like everything else wrong with the Church that the “conservatives”/TINO’s (including dubia cardinals, filial correction and their supporters) ridiculously and unfairly try to blame on their all time favorite human punching bag and skapegoat Pope Francis The Worst. Always amazed how well written parodies like the one above are such an effective way of exposing the lies and half-truths of the disengenuous ones in our midst. The factual story about PJPII and PBXVI giving Holy Communion to a protestant is another point that is and will continue to be ignored by TINO’s since it would only prove that Pope Francis is NOT the first and “worstest” Pope ever to “totally destroy the Church” by allowing those in a state of mortal sin to receive Most Holy Communion. No, nothing to see here. Vatican Insider just wrote a story in defense of pope Francis’s approach to inter- religious relations . It covered the story about St Francis’ visit to the Muslim leader in which he challenged the belief in Mohammed vs Christianity by walking through fire. The Franciscan historians are claiming this as a fable ,which it may be , and are promoting the notion that it will soon be all over the blogs during the commemoration of the saint’s visit to the Islamic leader to bolster “Catholic pride”, so as to counter to the Pope’s methodology of dealing with non Christians. The writer posits the argument that non Believers are not converted by challenges but are converted through love. My own thoughts remembered the early Christians who were martyred and the Christians of this and the last century. Christians in the Middle East do not appear to be challenging the Isis caliphate instead, they are being slaughtered simply because they Believe in Jesus Christ and desire to continue to practice their Faith. After reading the article I am left with the question in my own mind and heart as to how diluting the Faith by inter religious celebrations of any kind , bolsters one’s own Beliefs. Years ago I watched as Catholics I knew were transformed into accepting the Protestant versions of Christianity after Catholic pastors participated with their flocks in progressive inter religious dinners with other non Catholic denominations. After fifty years of all the progressive nonsense, inside Catholicism in general, these same Catholics did not know their Faith anyway and rather than converting non Catholics, the result of these social inter religious affairs contributed to a distorted understanding of their own Faith. 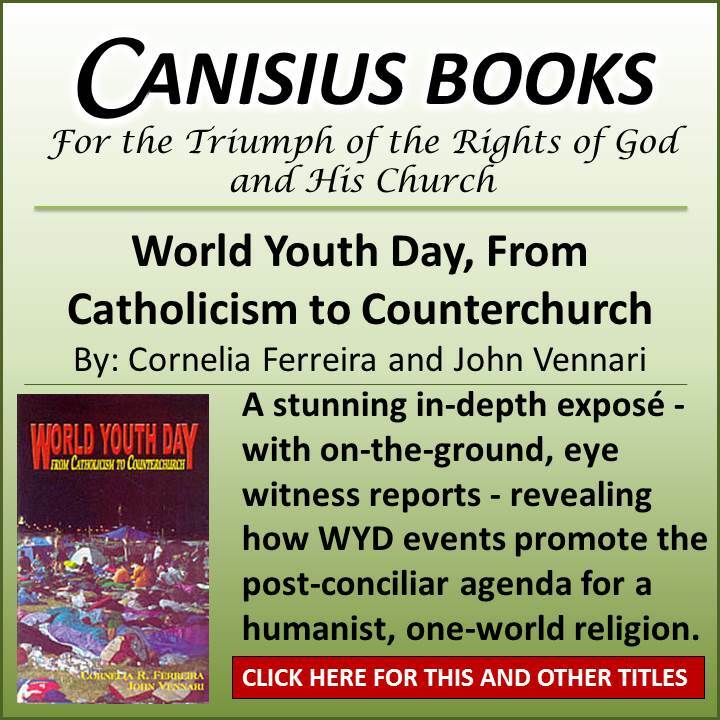 The conversions that did occur touted many through Opus Dei ,were those of Protestant leaders. Hahn and others became premier teachers for Catholics of Biblical Truth. Does anyone recall how he preached the Holy Ghost as being female? Did Metatics, Woods , Hahn or any of the other Gordon Cromwell Theological Grads enlighten Catholics to Catholicism or did they just confuse and cause more divisions ? If I have a recipe handed down to me for a delicious perfect chocolate cake , will I be doing my guests a favor by mixing in every other ingredient in the kitchen or will I be baking a pile of slop? ……and just n case Comeford shows up here to criticize my overuse of commas or any other grammatical errors in the hopes of discrediting the meat of my posts. I am well aware and do not have time to edit all my posts or flower up either my salutations or closings with any other type of displays of false character impression. I call it as I see and have seen it period. Louie–I challenge you to do a parody on Bergoglio that will top anything he has already said or done! Her’s at start- found at Angel Queen. Now he acknowledges Hell as his possible destination- serious humour. Patriarch of the world can go everywhere it seems. The Abomination of Desolation mentioned in the Book of Daniel. Ha HaHa.. That was really well done, Sir. The real suckers are the ones that actually give money to Louie to write this crap.